Because different world mints vary considerably in their timing and methods of releasing information, and communication, some of the links from this page may be in development until sometime in 2013. Last year The Royal Mint increased the prices on their gold products considerably. The increase in price between the 2011 and 2012 products shocked almost every dealer. The stability of the gold price over the past twelve months (in comparison to the years 2008-2011) and the insane amount of profit they must make on their products has meant that The Royal Mint has kept the price of their gold proof products the same for 2013 as 2012. Some collectors and investors will be unhappy about having to pay more for their new coins, but a more practical approach may be to buy older issues which, in most cases, are still at or below their original issue prices. In many cases these probably represent an unrepeatable buying opportunity. This is especially true of Royal Mint proof products such as proof sovereigns, proof half sovereigns and proof four and five coin sets. We can offer these backdated coins for as low as 10% - which is amazing when you consider that the premium on the five coin set for 2012 (official issue price) is 87% - as at 30th October 2012. This year's design has reverted back to the tradional St. George and Dragon. 2012 saw a one-off design to commemorate The Queen's Diamond Jubilee. We expect to have the 2013 Proof sovereign in stock the week commencing 12th Novemeber 2012. 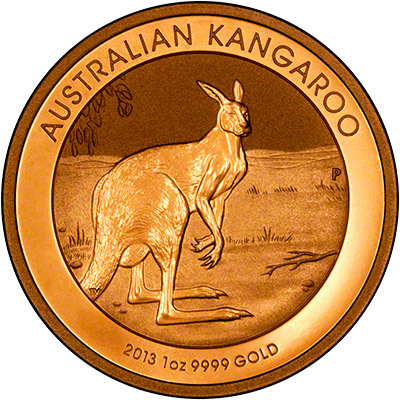 The same design as the sovereign, usually available in both the proof and uncirculated. The proof version should be in stock the week commencing 12th November 2012. The same design as the sovereign, the Royal Mint refused to sell the 2012 uncirculated version to the trade so 2013 may be the same and we may only have the proof. The proof version should be in stock the week commencing 12th November 2012. The five coin set contains the five coins of the sovereign family - from the �5 down to the quarter sovereign. In the past we have always stocked the four / five coin sovereign set but we are still not sure about the 2013 set due to the exorbitant price increase for 2012 that has not been reduced this year - despite the 2013 sovereign reverting back to the traditional St George and the Dragon design. We do not expect to stock either of the three coin sets until they come on to the secondary market. Crowns, Two Pounds and Fifty Pences are usually issued in gold, silver, and base metal versions. They often commemorate events, births, deaths, or other celebrations. The commemorative crowns issued for 2013 are the 60th Anniversary of the Queen's Coronation and the Royal Christening of Prince George. The 2012 two pound coin commemorated the 200th anniversary of the birth of Charles Dickens, whilst the fifty pences weren't issued due to the 2011 Sports Collection of 29 coins celebrating the 2012 Olympics. 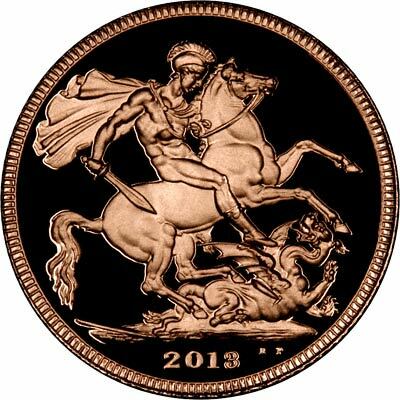 The 2013 Britannia is reverting back to the classic standing Britannia design by Philip Nathan but will be .9999% gold as opposed to .916 for the first time ever. Of all 4 weights, from the 1oz down to the 1/10oz coin. We usually stock these, and as long as we can buy them in the trade we expect to do so again this year. A good alternative to the proof sovereign. Usually released about August. We probably wont stock them until they are available on the secondary market. Lower priced than the proof half sovereign. Usually released about August. We probably wont stock them until they are available on the secondary market. 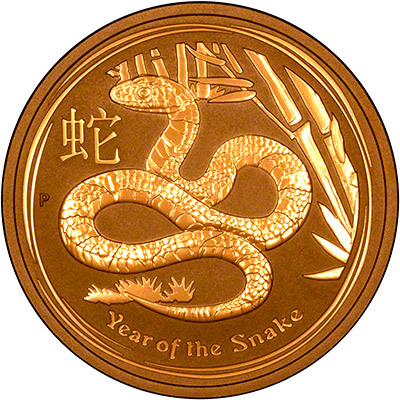 We have 2013 Australian Gold Nuggets and 2013 Year of the Snake Gold Coins in stock now for immediate delivery. As we are now prime distributors for the Perth Mint in Australia we receive our stock of the next years' issues in the Autumn of the previous year. The Year of the Snake is the second most popular of the Chinese Lunar Calendar series. We don't usually stock the new Manx Angels unless we get offered them at a reduced premium. However, if you would like a quantity of them please give us a call as we should be able to source them for you. We are able to source Manx cats and often purchase small quantities of each of the different sizes. We do not know when this is likely to be but if you would like to hurry us along then please do not hesitate to get in touch.. The U.S. are issuing two one ounce gold coins, we hope to have the 2013 Eagles and 2013 Buffalos in stock during 2013. More 2013 gold coins to follow.